Frustrated with all the work it takes just to keep your grass lawn healthy and looking good? Don’t give up just yet! Fall in love with artificial turf in Modesto and discover why so many homeowners are making the shift to synthetic! Grass lawns make houses feel more like a home. However, the demanding maintenance and expenses can make you doubt if it’s all worth it. Thanks to synthetic grass, you don’t have to sacrifice effort, money, and time just to have the outdoor living space of your dreams. Tighten up your putting and chipping game right in your very own golf paradise. 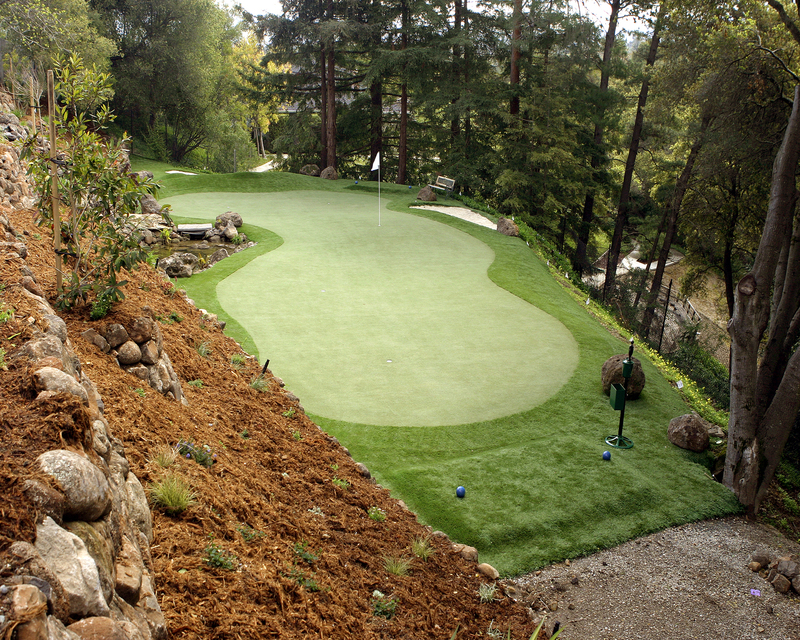 We can customize the landscape to satisfy your golfing needs. Artificial grass also makes fantastic flooring for tennis, bocce ball, croquet floors, and other sports that are played on grass. 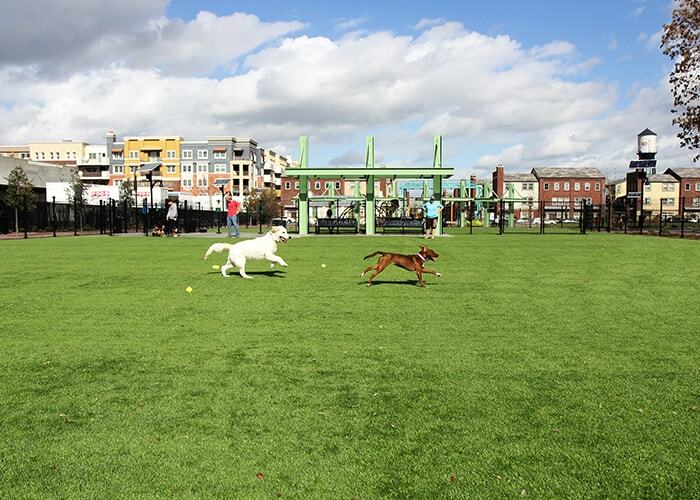 That’s right – dogs get a real treat with synthetic grass, too! Grass may be the ultimate fun place for dogs, but they can damage the grass, leave messes behind, and cause a whole lot of trouble for you. With our artificial turf, look forward to no more holes, no more tracking dirt in the house, and a built-in drainage system for urine. Artificial grass is especially perfect for children to play on. You don’t have to worry about chemicals anymore because synthetic turf doesn’t need toxic fertilizers and pesticides to grow. Artificial grass is also soft and gentle to the touch, so kids can play safely anytime they want. Green rooftop spaces have become ultra-popular lately, and artificial grass makes it easy to upgrade your home in this way. Synthetic grass is also ideal for elevated and compact areas like raised porches and balconies, along narrow walkways, and other difficult spaces that you want to have a luxurious, grassy appearance. Are you ready to make a move toward synthetic grass in Modesto, CA? Trust only Modesto Artificial Grass, your premier installers in Modesto, Stockton, Turlock, Mountain House, Lathrop, Merced County, and surrounding neighborhoods! Call us now at 209-420-1516 and let’s discuss your project in detail. You may reach us by calling 408-723-4954 or send your inquiries through our Contact page.